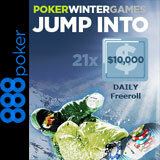 The 888 Poker Winter Games Freerolls are the latest offerings from 888Poker which will start from 9 February until 8 March, 2014. 888Poker have upped the regular $10,000 daily freerolls by including extra tournaments which added up to more than $300k in prize pools. The new Winter Games Freeroll tournaments include final freerolls: $20,000 Bronze Hero Final Freeroll, $30,000 Silver Defender Final Freeroll and $40,000 Gold Champion Final Freeroll. 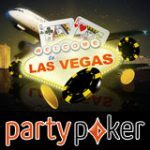 There are new requirements for players to qualify for the daily $10k freerolls and the final freerolls which take place in the last week of the promotion. Play for your share of more than $300k in 888 Poker Winter Games Freeroll tournament prize pools between 9 February until 8 March. 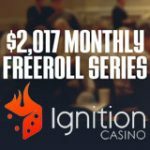 The $10,000 Winter Games Freerolls will run daily for the first three weeks of the promotion adding up to $210k in prize pools, the last week of promotion will be bigger than ever before with $90k in final freerolls. New players that sign-up and existing players will be issued with their first tournament ticket for FREE! Thereafter players must complete Daily Challenges for additional tickets. 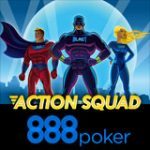 888Poker Mobile - Play 30 poker hands or more on cash games or a $1 tournament buy-in. 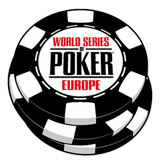 Texas Holdem - Play at least 30 poker hands cash games. 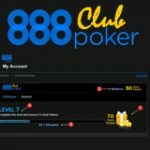 888 Casino Games - wager at least 30 bets on any 888casino game. Players must complete at least two of the Daily Challenges to get a tournament ticket to the daily $10,000 Winter Games Freerolls. Play for your share of $10,000 in prize pools everyday, start qualifying for your tournament ticket. Players are limited to earning one Winter Games Freeroll ticket per daily and they will be issued within 72 hrs of completing a challenge. 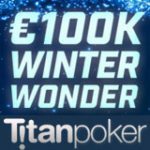 To get a tournament ticket to the Final Freerolls players must qualify for the required amount of $10,000 Winter Games Freerolls. Players can get tournament tickets to all three final freerolls by qualifying for eight of the daily $10,000 Winter Games Freerolls during the promotional dates. 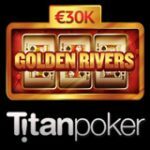 Only tournament tickets that where earned through the completing the daily challenge will be valid for qualifying for the final freerolls.